What Is a Defense or Independent Medical Examination (IME)? Whenever any person puts his or her mental or physical condition at issue in any case in which compensation is sought, the insurance company or other responsible party defending the case has a right to have an “independent” physician examine the plaintiff. The manner in which so-called “independent medical examinations” are carried out is often disputed, and they are better viewed as a defense-oriented exam rather than an independent exam. If a plaintiff is not properly prepared for what lies ahead, the claim can be lost or seriously damaged. Most states have a statute or court rule setting forth what a defendant must show to obtain the examination, but the defendant’s burden of proof varies in three primary ways. In many states, the defendant must always show good cause to obtain an order requiring the plaintiff to appear for an IME. However, California requires good cause only in non–personal injury suits, and provide for an IME as a matter of right in products liability cases where the plaintiff has placed his or her physical status at issue. Other states simply provide for an IME as a matter of right where the physical or mental condition of a party is in controversy. The defending party must give reasonable notice of the time, place, manner, conditions and scope of the examination, and the identity of the examiner. Usually, only one independent medical examination is allowed, unless there is good cause shown for more. The claimant is not allowed to object to the identity of the examiner without a compelling reason. In most jurisdictions, the plaintiff is reimbursed for mileage to and from the examination. The defendant must pay for the examination by its doctor. The defendant must provide a copy of the report to the patient or the plaintiff’s attorney within a reasonable time after the report is available. In exchange, the plaintiff must provide true and correct copies of any and all reports of each person who has examined or treated the claimant with respect to the injuries for which damages are claimed, and a medical authorization to the defendant to allow it to obtain any and all records, radiological films, or other evidence of the plaintiff’s condition. Any physician-patient privilege with respect to the condition at issue in the case is deemed to have been waived by the making of the claim for compensation. The independent medical examiner is subject to being examined under oath by the claimant’s attorney at a deposition or by cross-examination at the trial or hearing. The choice of the examiner generally rests with the requesting party. The plaintiff’s past medical history, history of present illness, cause of condition, subjective complaints, objective findings on physical examination, laboratory testing, diagnosis, treatment history and prognosis can be called into question and discredited if the claimant is not accurate in reciting the facts during the independent medical examination. States vary on whether the plaintiff’s attorney may be present in the examination and what the standard is for allowing the presence of counsel. Even if an attorney may attend, plaintiffs should not count on being able to present testimony at trial regarding their attorneys’ version of what occurred at an IME. The plaintiff and counsel should meet in advance of the IME, and go over all prior relevant medical records. No prior doctor visit for the same condition should be overlooked, because the plaintiff will be asked about it during the independent medical examination. Inaccurate responses from the plaintiff when questioned by the independent medical examiner about a prior knee injury, back or neck problem, visits to a chiropractor, absence from work, minor car wreck with an emergency room visit, or x-ray of the same joint, etc., can prove to be all the defense needs to conclude that the plaintiff is trying to hide something, and that the claim is illegitimate. 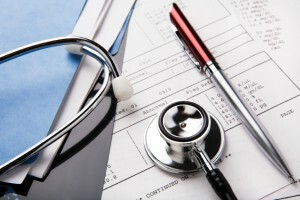 The independent medical examination is a core element of personal injury litigation. An IME can be a key component of prosecuting or defending a personal injury case. Plaintiffs should be sure to heed the potential pitfalls in arranging IMEs, or in responding to such a request from a defendant.